Ben and Sam: Easter Eggs! 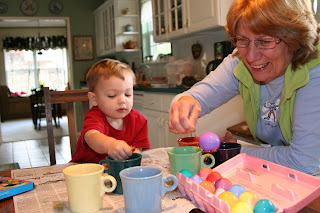 Ben, you are one lucky boy --Sally Carter does Easter like no other! Hi guys! I didn't know you were going to Arkansas for Easter! That's awesome. Hope you have a great time! How long will you be there? Just added some pics to Jacob's blog, so be sure to check that out.